The roofers have nearly completed the steel siding on the house. I’m very happy with the results. We are using 2′ x 3′ 20 gauge cold-rolled steel flat panels. It is very inexpensive (~$2/sq-ft materials and labor), and I think it looks fantastic. It will rust to a reddish brown when exposed the weather for a few months. 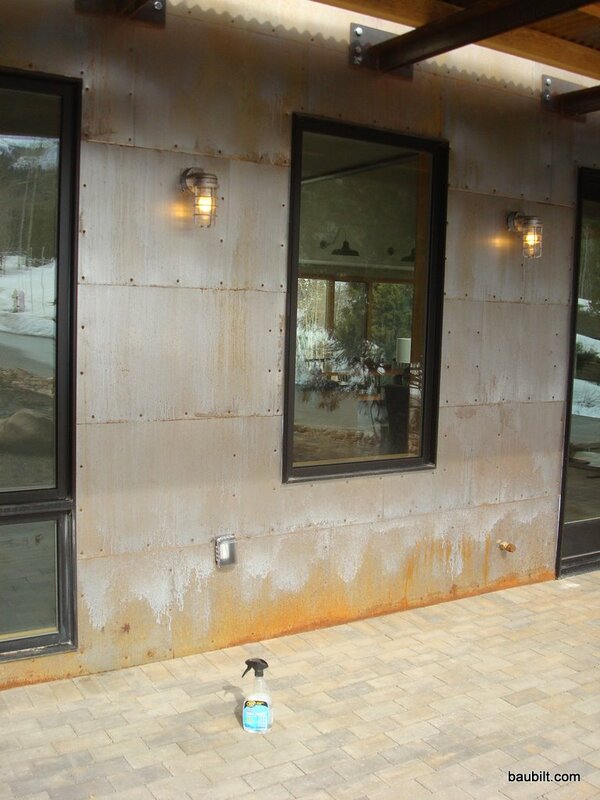 The cold-rolled steel roof has oxidized nicely over the fall and winter. It looks pretty good. 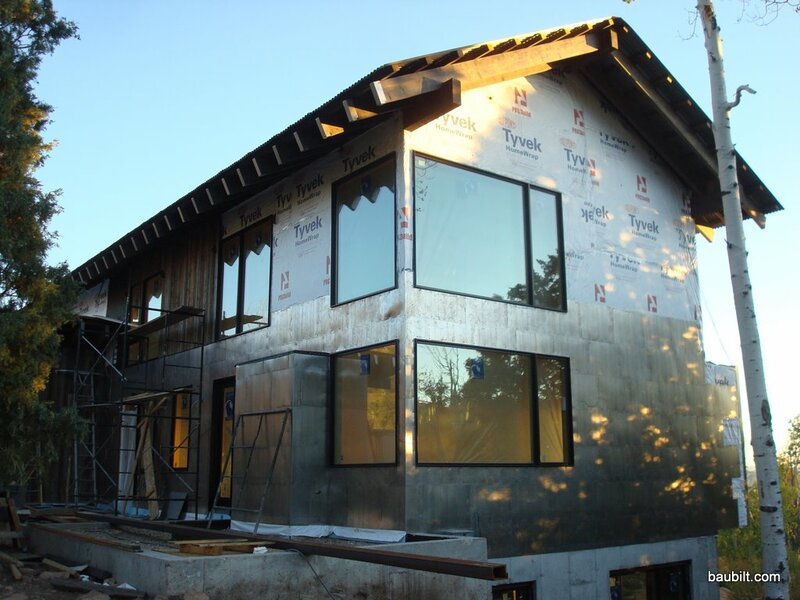 Most of the steel siding is starting to turn as well, but it is pretty well protected from water, and with temperatures mostly below 50F, the oxidation rate is slow. Still, I’m pretty sure that by the end of the summer, most of the steel siding will have a decent patina on it. 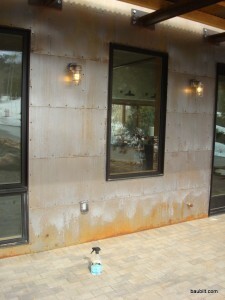 Steel siding on front of house. Because it is protected by the awning, only the very bottom had oxidized at all after a winter and spring.